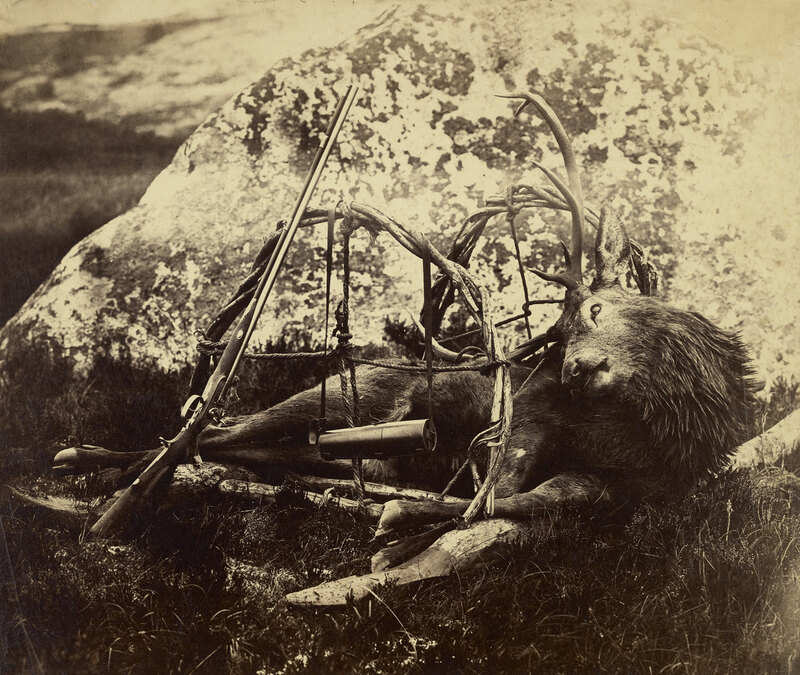 Some of the photographs in this postings are sad, others are just gruesome. One animal’s in/humanity to many others. 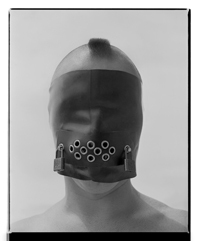 Many thankx to the J. Paul Getty Museum for allowing me to publish the photographs in the posting. Please click on the photographs for a larger version of the image. In the United States, all living white tigers are the result of selective inbreeding to artificially create the genetic conditions that lead to white fur, ice-blue eyes and a pink nose. Kenny was born to a breeder in Bentonville, Arkansas on February 3, 1999. As a result of inbreeding, Kenny is mentally retarded and has significant physical limitations. Due to his deep-set nose, he has difficulty breathing and closing his jaw, his teeth are severely malformed and he limps from abnormal bone structure in his forearms. The three other tigers in Kenny’s litter are not considered to be quality white tigers as they are yellow-coated, crosseyed, and knock-kneed. 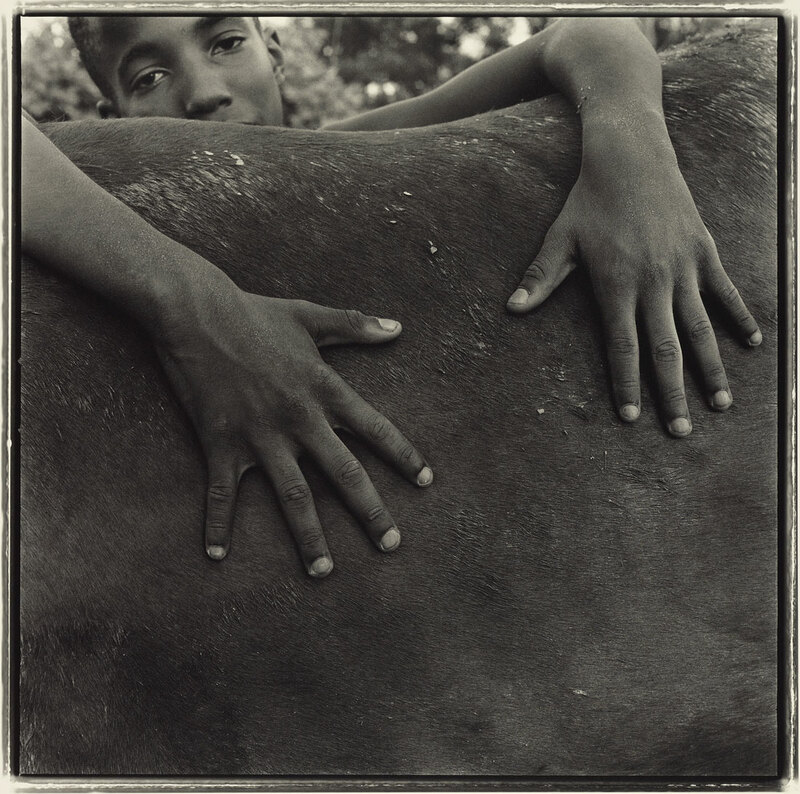 “Animals have never been camera shy – almost since the introduction of the medium in 1839, they have appeared in photographs. 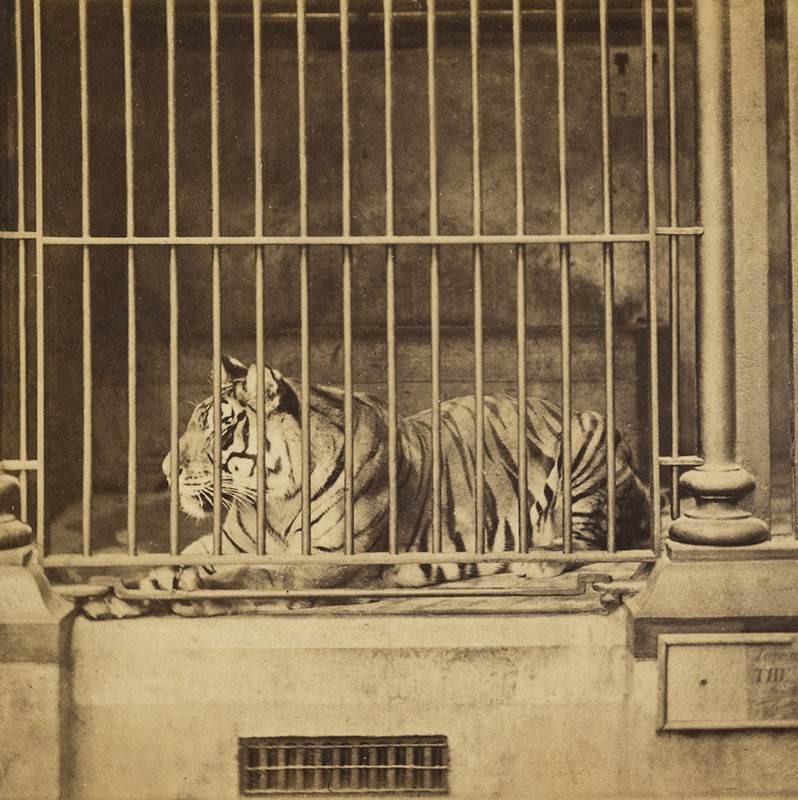 While early photographs typically depicted animals that were tame, captive, or dead, modern and contemporary artists have delved into the interdependent relationship between man and beast. 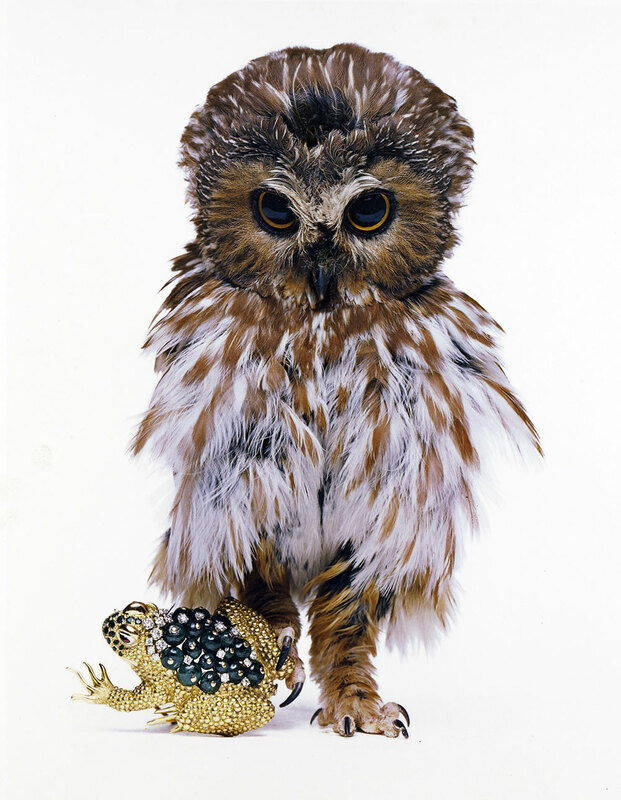 Drawn entirely from the J. Paul Getty Museum’s photographs collection, In Focus: Animalia, on view May 26-October 18, 2015 at the Getty Center, illustrates some of the complex relationships between people and animals. 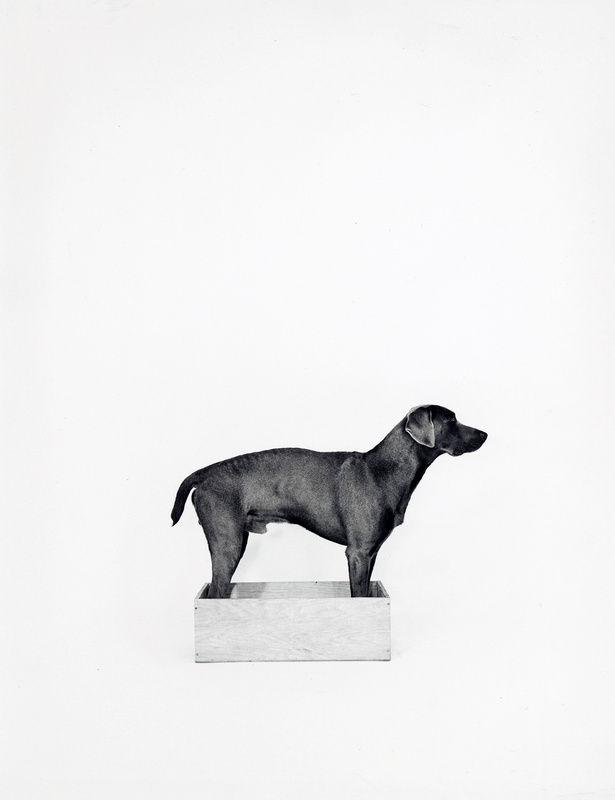 From an intimate studio portrait with dog and owner to the calculated cruelty of inbreeding practices, these photographs offer nuanced views of the animal kingdom. 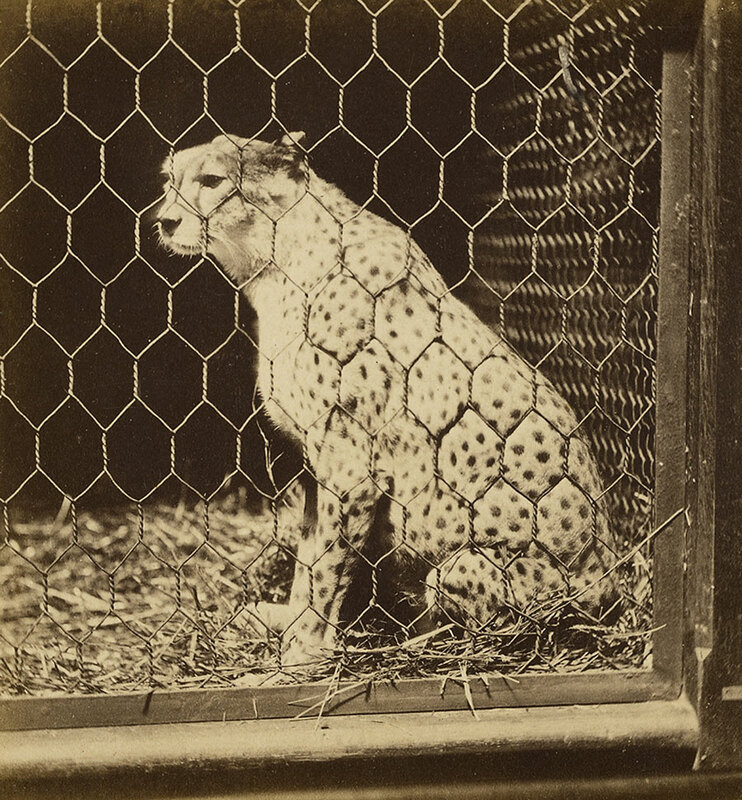 Photographs of pets, working animals, taxidermied game, and exotic beasts in newly opened zoos circulated widely during the second half of the 19th century. 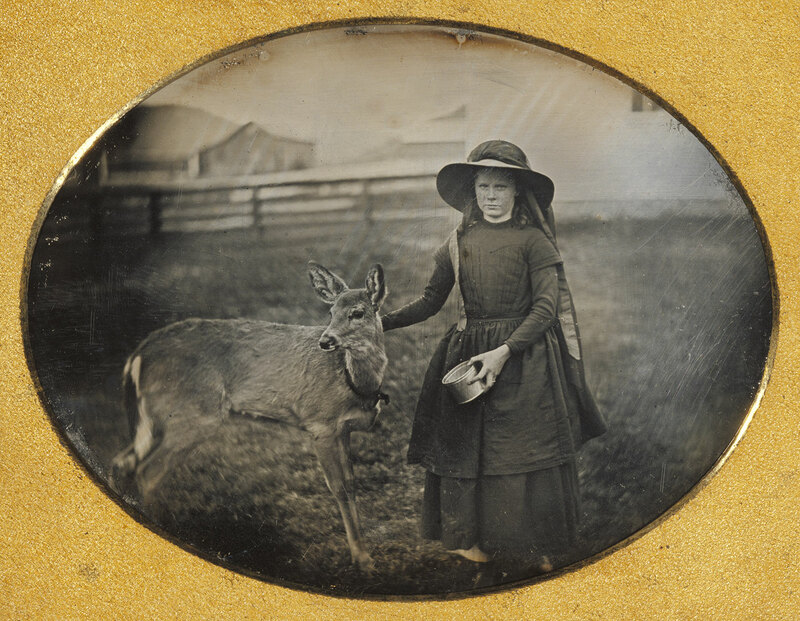 Early daguerreotypes required a subject to remain still for several minutes to ensure that the image would not blur, so photographing moving animals posed a problem. In Study of a White Foal (about 1845) the Swiss nobleman and amateur daguerreotypist Jean-Gabriel Eynard (1775-1863), focused the lens of his camera on a foal at rest, a moment when its movements were limited, in order to make a successful picture. 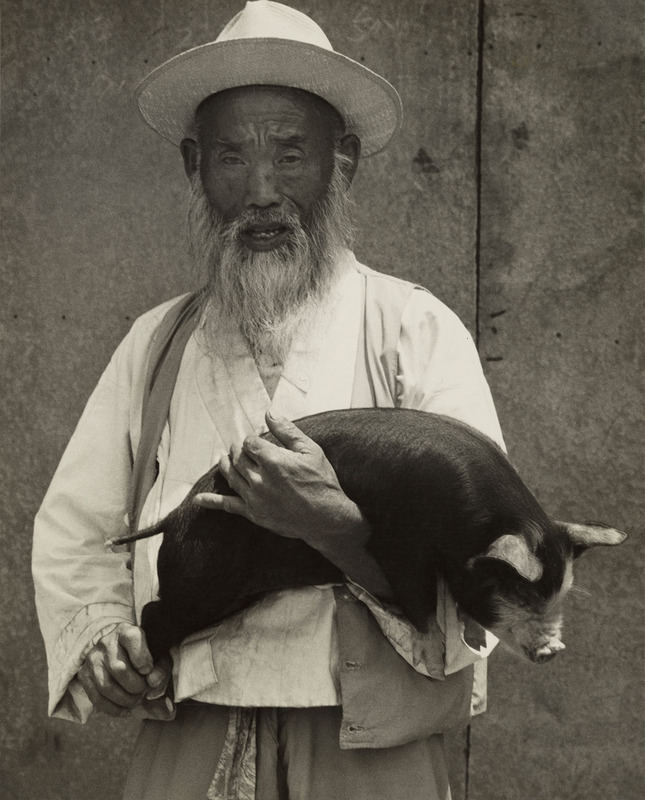 By the early 1850s most major cities in Europe and America could boast studios specializing in daguerreotype photography. Customers sat for portraits in order to preserve their own images, and also commissioned photographs of their family members and loved ones, including pets. 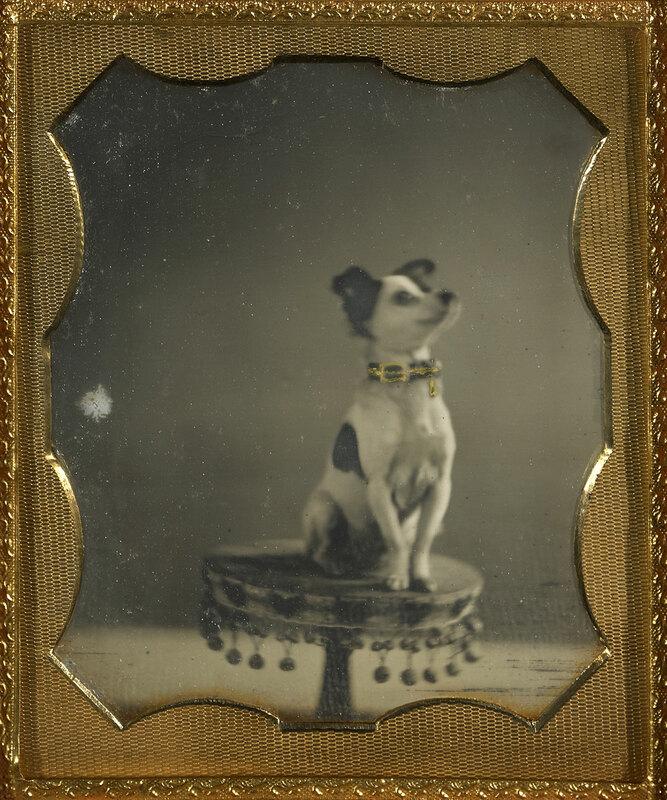 In Dog Sitting on a Table (about 1854; artist unknown) an eager dog is photographed sitting on a tasseled pedestal. The slight blurring of the head, indicating movement during exposure, betrays the barely contained energy of this otherwise well-trained animal. 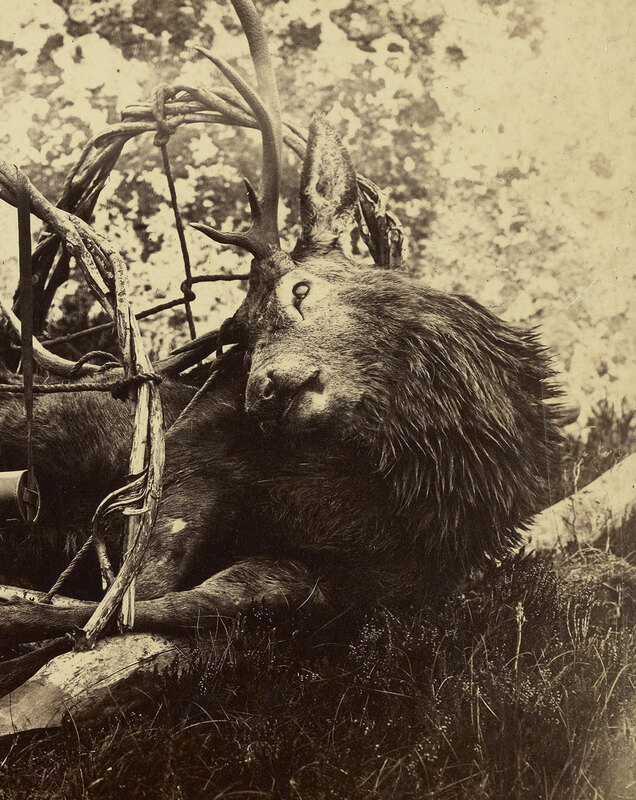 The mid-19th century saw increasing demand for stereoscopic photographs – two nearly identical prints made with a double lens camera that created a three-dimensional image when viewed in a stereoscope viewer. 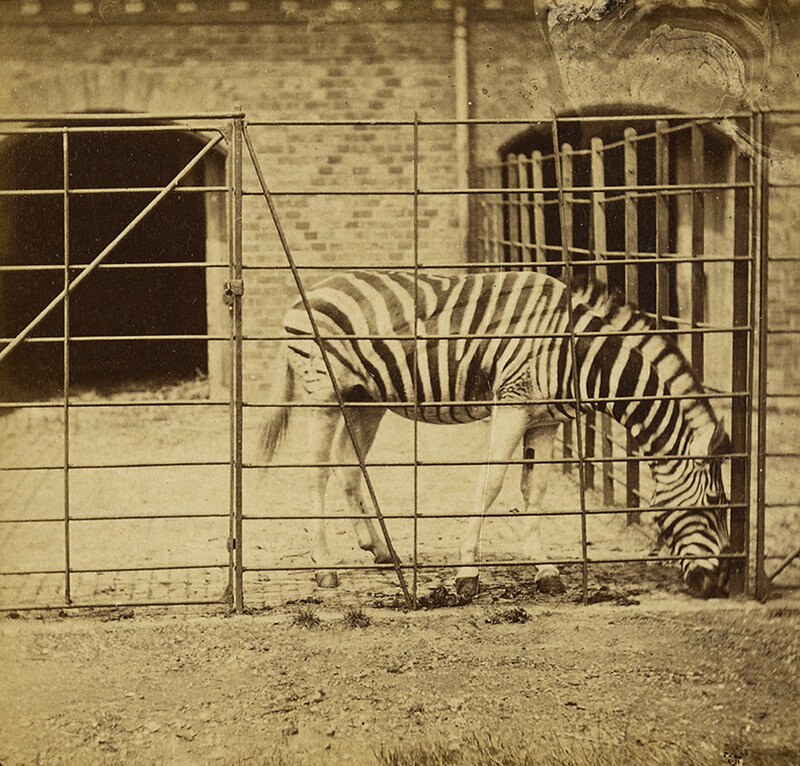 Frank Haes (British, 1832-1916) made a reputation for himself by photographing animals at the London Zoo, much to the delight of those fascinated by hippos, lions, zebras, and other exotic beasts. 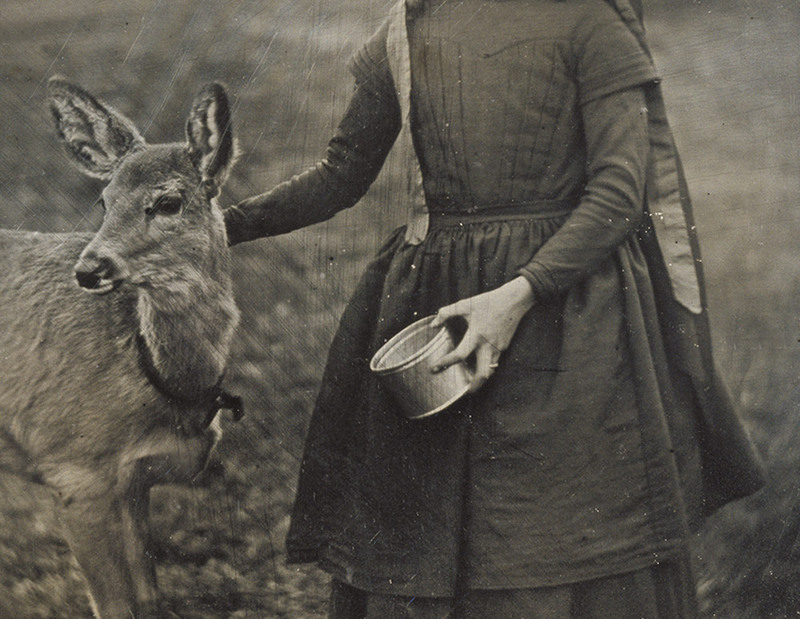 Eadweard J. Muybridge’s (American, born England, 1830-1904) pioneering work in motion studies are best remembered for his depictions of animals. 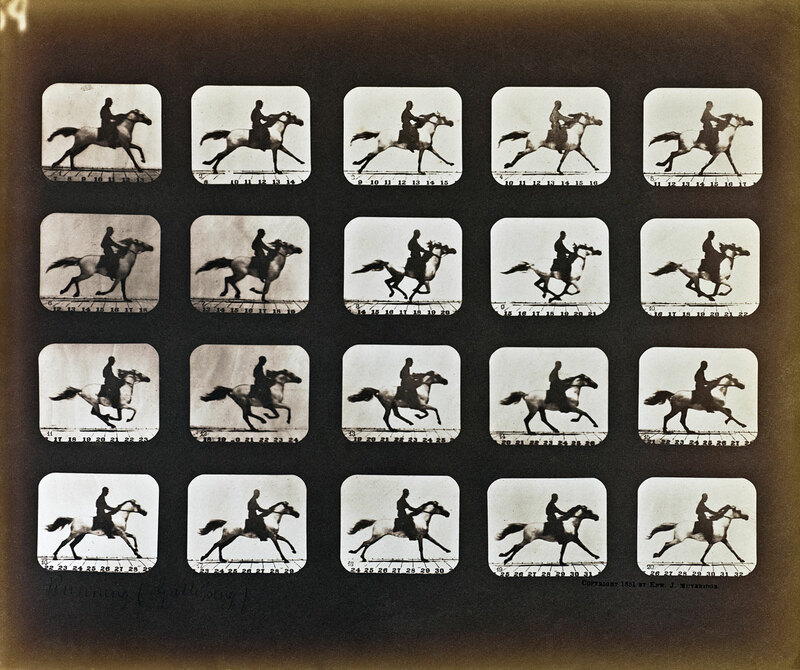 Devising a system for successively tripping the shutters of up to 24 cameras, Muybridge created the illusion of movement in a galloping horse. 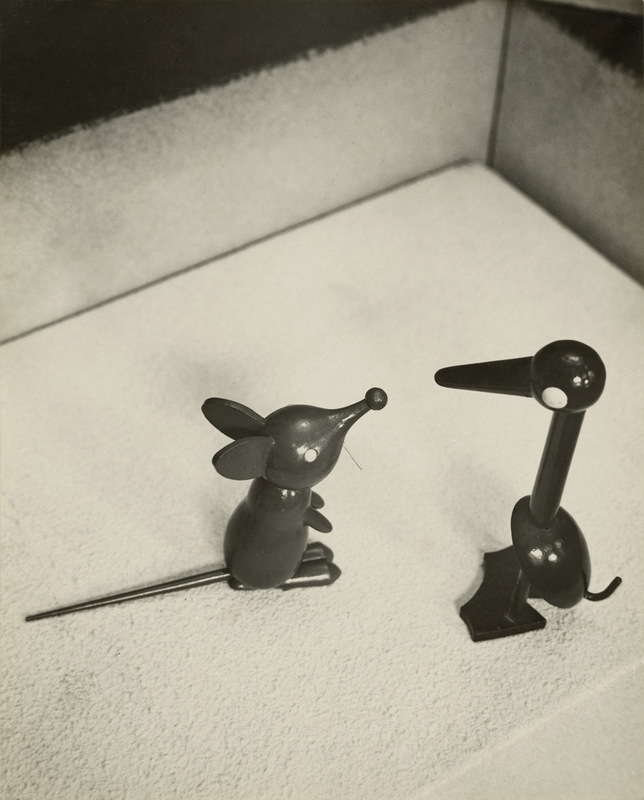 Artists have also relied on animals to convey symbolism and to represent fantastical worlds. 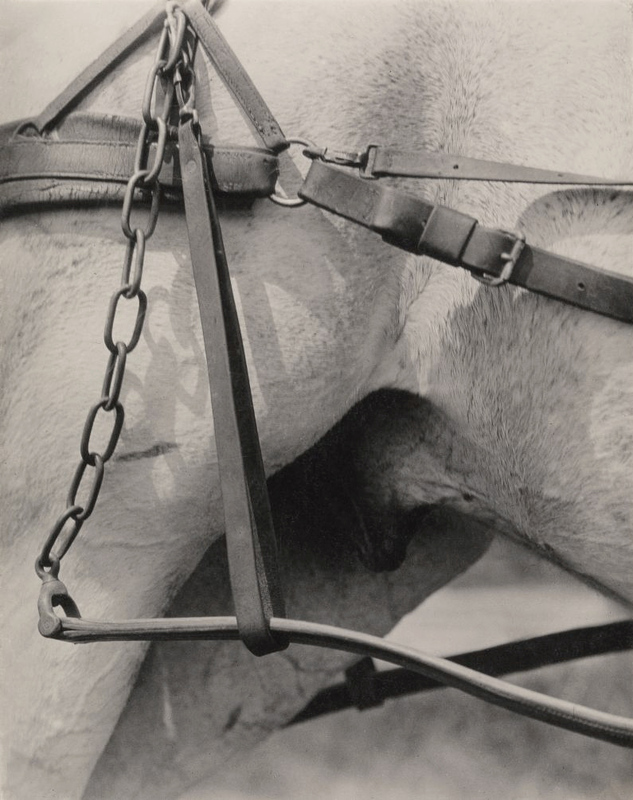 A photograph by Alfred Stieglitz (American, 1864-1946) of a harnessed and castrated horse serves as a critical metaphor for American identity in the early 1920s, which Stieglitz viewed as materialist and culturally bankrupt. 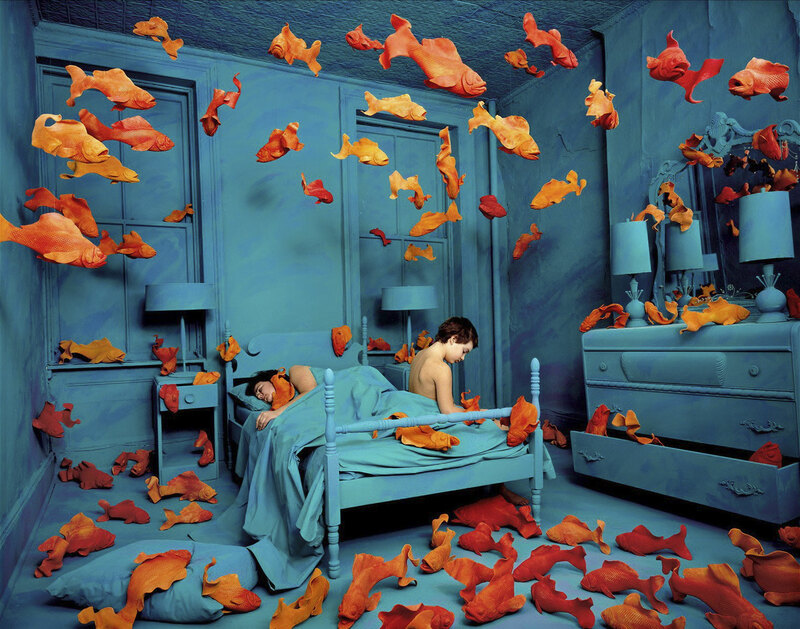 An elaborately staged photograph by Sandy Skoglund (American, born 1946) presents a dreamlike atmosphere filled with handmade, larger-than-life sculptures of goldfish that create a scene at once playful and disturbing. 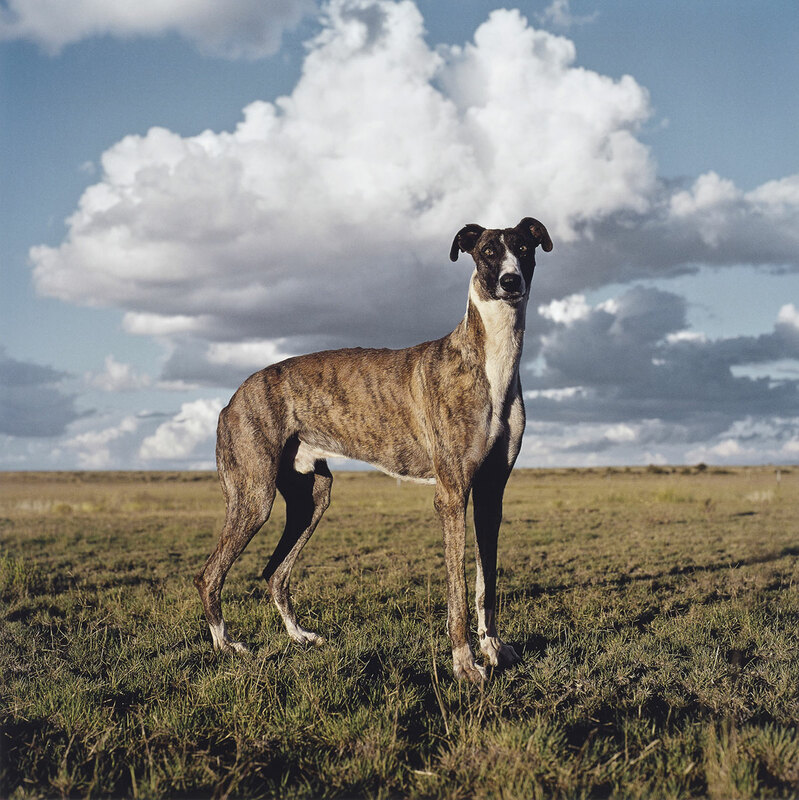 Recently-acquired works by Daniel Naudé (South African, born 1984) depict portraits of wild dogs the photographer found on the arid plains of South Africa. 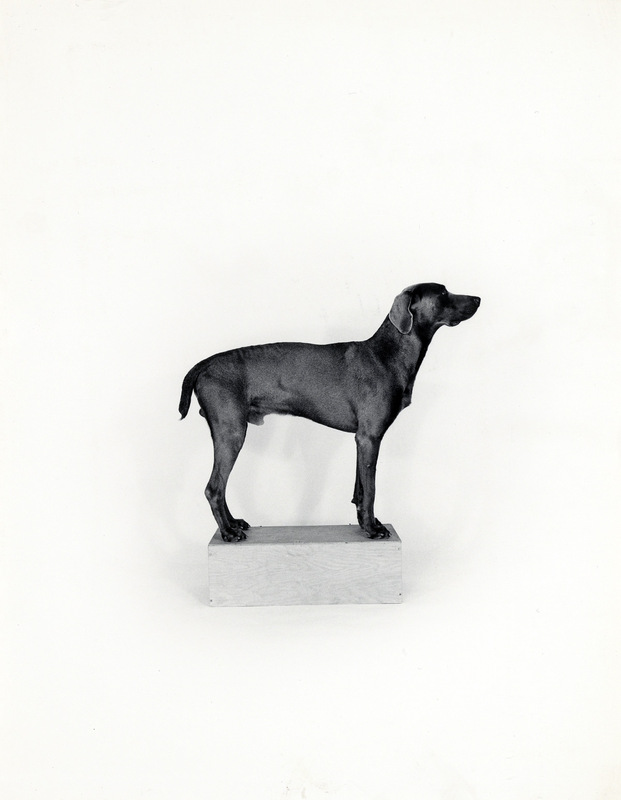 Made from a low vantage point, individual dogs are cast against broad views of the landscape, and the photographs harken back to the equestrian portrait tradition popular during the 17th century. 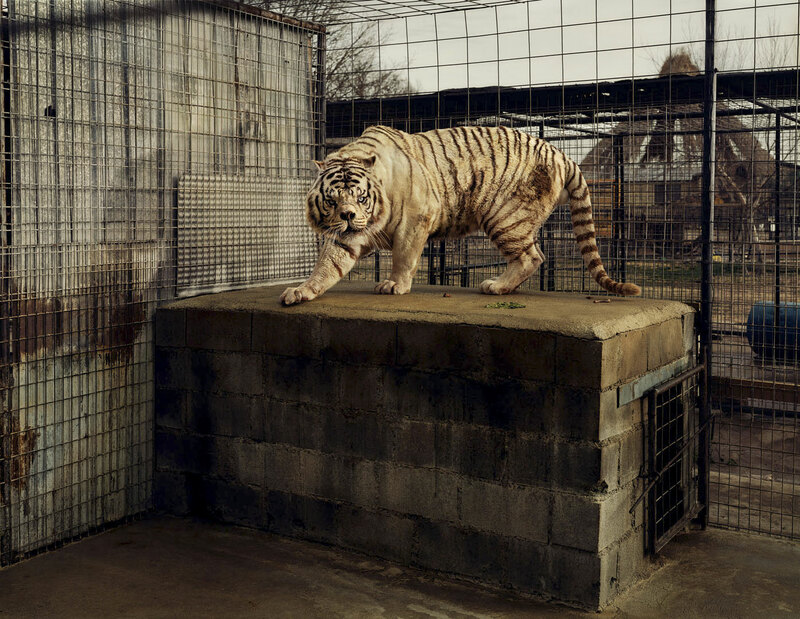 Taryn Simon’s photograph of a caged white tiger (American, born 1975) demonstrates the oftentimes debilitating results of the inbreeding practices utilized to obtain highly desired traits such as a white coat. 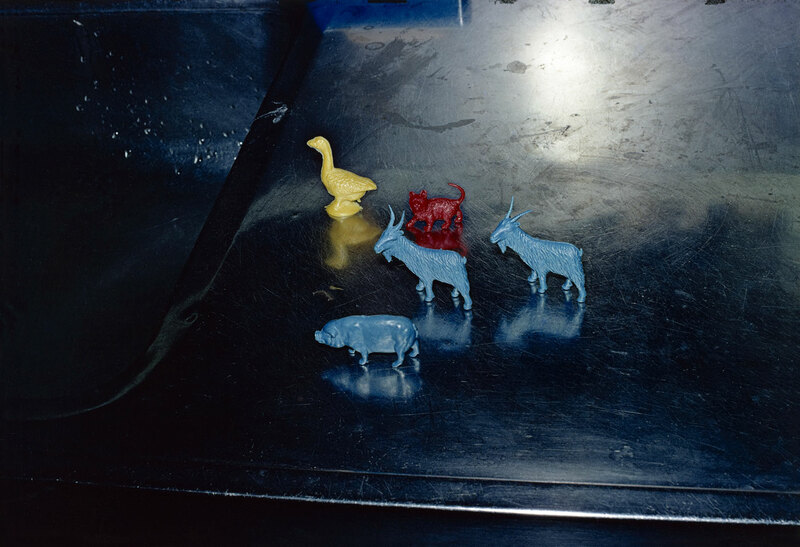 This work illuminates the mistakes and failures of human intervention into a territory governed by natural selection.